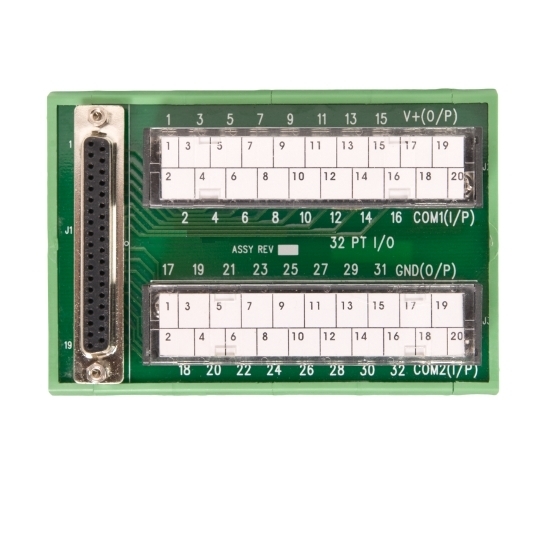 The XDC20-TB is a DIN-rail mount Screw Terminal module to accept field wiring. It connects to 32 point Tealware Digital I/O modules via a Cat No HDIO-CBL cable to its DB37 female connector. The XDC20-TB can be used with the Tealware modules in the table below.